The term “slow burn” has been used a lot of late to describe certain streaming shows, and it certainly could have been used last night to describe the New England Patriots’ 25-6 triumph over the Buffalo Bills on Monday Night Football. 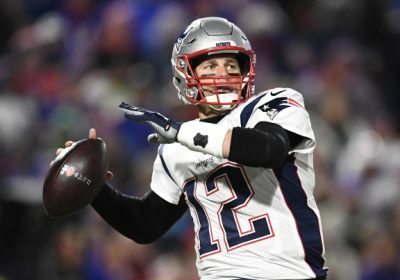 Tom Brady, Rob Gronkowski and crew weren’t slack for the early part of the ESPN game on the Bills’ home turf, but in the second half they truly leaned in. Facing that, after Thurman Thomas’ number-retirement ceremony, it couldn’t have been made any easier for Buffalo as they saw a touchdown taken away by NFL officials on replay too. While last night’s MNF was more about getting the job done for the five-time Super Bowl champs than setting off fireworks, the result still gave the league and the Disney-owned sports cabler something to smile about. Scoring a 7.9 in metered market ratings and claiming the top spot for ESPN on both cable and broadcast, Monday’s just over three-hour long game bopped up 5% in the early metrics over last week’s Atlanta Falcons’ 23-20 win over the New York Giants. Last night’s MNF also rose 10% over the comparable Kansas City Chiefs-Denver Broncos matchup of the day before Halloween last year. The Patriots-Bills game peaked Mondaay with an 8.9 rating in the 10:30-10:45 PM ET slot. As an indication of where this week’s MNF will end up when the final numbers come in, the October 22 game delivered a 3.5 rating in adults 18-49 with 10.3 million total viewers. The October 30, 2017 MNF was almost on the money with last week too; that game pulled in a 3.5 demo result with an audience of 10.4 million. Coming off the big-draw Patriots, next week’s MNF sees the always big-draw Dallas Cowboys up against the Tennessee Titans, which could prove interesting on and off the field.